A family-owned business since 1977, Summit Jewelers offers customers professional service with a personal touch. We know that a jewelry purchase is a decision that must be made with care and thoughtfulness, and we pride ourselves on taking the time to meet your needs without any high-pressure sales techniques. Our goal is customer satisfaction, which means providing our customers with the highest quality jewelry at wholesale prices. 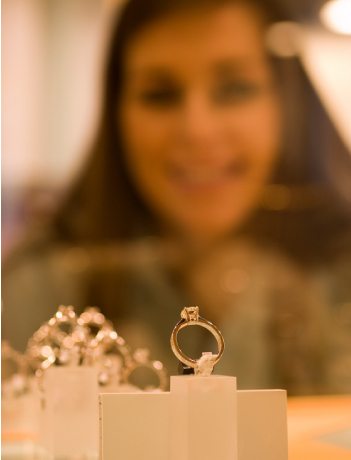 At Summit Jewelers, we welcome you with a friendly atmosphere and honest, professional service. Our glittering cases are filled with 14 and 18 karat white and yellow gold as well as platinum jewelry. Stop in and take a look at our selection of gold and platinum gemstone and diamond bracelets, pendants, earrings, charms, chains, design necklaces, rings, and much more. Whether you’re looking for exquisite diamonds, rubies, sapphires, emeralds, tanzanite, blue topaz, yellow topaz, amethyst, or any other gemstone jewelry, we can help you find or create the perfect piece. We also carry a wide variety of silver jewelry with cubic zirconium and have recently added beautiful Zable beaded necklaces and bracelets to our collection. A master at his profession, Summit Jewelers’ experienced jeweler, and owner, is an expert in the field of jewelry making and repairing, and a specialist in diamonds and gemstones. With his creative expertise, he can work with you to design a one-of-a-kind, custom jewelry piece. We have many loose gemstones and diamonds in stock for you to choose from and can assist you with selecting the perfect fit for your custom jewelry designs. 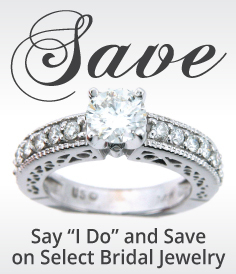 Summit Jewelers offers expert jewelry repair and has been servicing retail jewelers since 1975. We offer extensive and prompt jewelry repair services and can do repairs while you wait or within 24 hours.